Petroleum Minister Dharmendra Pradhan has blamed "external" factors for the rise in petrol and diesel prices. "I would like to mention two points, and both these subjects are external. OPEC (Organisation of the Petroleum Exporting Countries) had promised that it will raise production by one million barrels per day, which was not raised," he told reporters in Surat on Sunday. Domestic credit rating agency Icra said in a report on Monday that global oil prices have risen by about 10 per cent over the past two weeks on declining inventories and faster than anticipated decline in Iranian exports as the countdown to the enforcement of US sanctions begins. "While China and EU intend to continue imports from Iran, banking channels and re-insurers are increasingly shying away, leading to sharp cut in purchases. 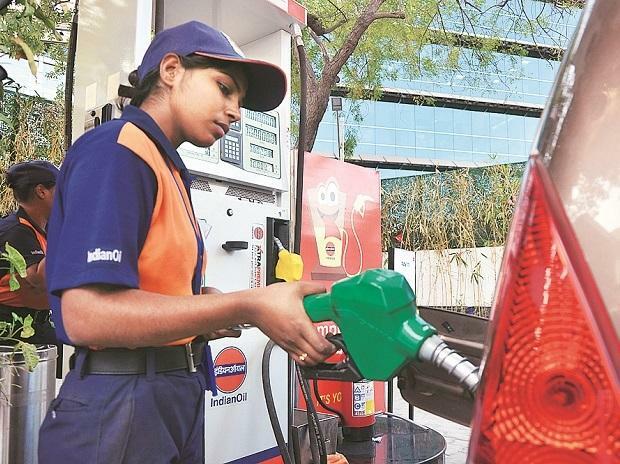 The dual impact of rising oil prices and depreciating Rupee does not auger well for PSU (public sector unit) oil and gas companies as it will increase their regulatory risks," it said. "As for the Rupee, it has depreciated by about 11 per cent against the US dollar since the beginning of this calendar year owing to its sensitivity to crude oil prices and significant outflows of foreign investment. "Due to the high dependence on imports of crude oil to meet domestic consumption, an increase in crude oil prices increases the current account deficit which is weighing down on the Rupee," it added.